Sure Grip Power Quad Wheels. 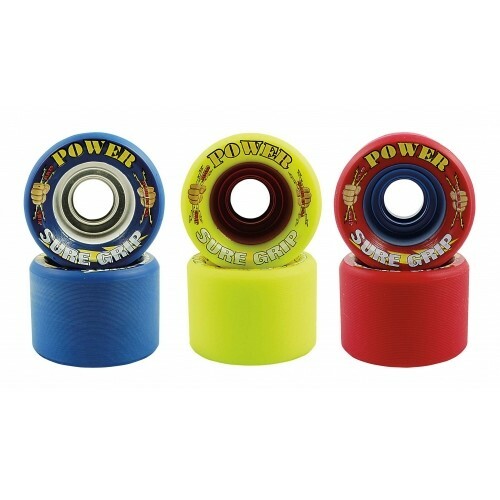 Sure-Grip Power Speed wheels offer precise bearing alignment in a matrix designed aluminum hub. 62mm x 42mm with aluminum hub. Cold pour urethane loaded with grip on any surface! More urethane around the hub will make the wheel feel softer. That solid aluminum hub holds the wheel in a true round even with grippy urethane. Only Blue is available.